"If you're doing games as a service  and that's what we should be calling free-to-play now - then you have to act as a service company," offered Thorbjörn Warin, CMO at Finnish outfit Grand Cru at Pocket Gamer's latest Mobile Mixer. "You have to analyse the metrics, but don't be driven by them  that would make you Zynga, and no-one wants to be Zynga anymore." 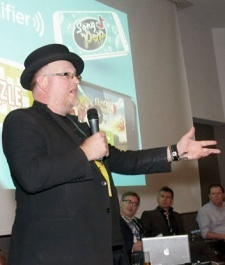 Unbeknownst to Warin, a former Zynga employee happened to be sat in the packed crowd in Cologne's Hyatt Hotel  a fact delicately pointed out by Mixer host (and MD of Pocket Gamer publisher Steel Media) Chris James. "Oh, I didn't mean it," joked Warin, to much laughter. "Zynga has done some good stuff." Such was the atmosphere at the Mixer  a forum where a multitude of pressing issues were discussed in a frank, but undoubtedly friendly manner. Topics such as, if you haven't already made it on mobile, is it too late? 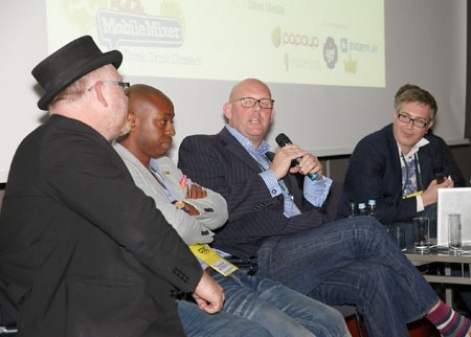 "There is life outside the charts  that's a really important point," opened PapayaMobile's Chris Hanage. "However, if you're looking to try and launch a game without significant marketing budget, then becoming a success overnight isn't likely. Breaking into those top positions is especially hard unless you're the big guys, but there are lots of tools out there to recycle and cross-promote users." Is the answer, therefore, to adopt free-to-play and try to garner attention that way? "For us, we have Football Manager and Sonic Dash  both use different business models, but both are making money." Warin agreed, noting that there are simply "too many people making free-to-play games  some games that actually would make way more money as premium." "It's very easy to fixate on the guys who have hit that massmarket potential, but there's a huge amount of content out there that isn't top ten of the top grossing chart that's still profitable," added Applifier's Oscar Clark. "For small studios, $1,000 a day isn't bad." Even for the bigger guys, life isn't always so easy, revealed Masuku. "At Sega, we're still learning about what we need to do to monetise, but we need to move away from focusing on monetisation and focus on retention. "So we've stopped looking at the the silly KPIs everyone likes to report, and we've started focusing on how to keep people in our games." To get gamers in the first place, however, you need to be on the right platform. As all the panel agreed, there are only two platforms really worth caring about now  iOS and Android. But will there soon be a third option? Will Windows Phone win out, or will BlackBerry bounce back? King games guru Tommy Palm said he hoped not. "It's nice to have two giants competing with each other  I don't want a third or fourth platform," he claimed. On the same subject, Sega's Masuku noted that while Sega supports both the aforementioned platforms vying for the third spot, the company naturally focuses its efforts on "the platforms that return your investments." Applifier's Oscar Clark, however, took the discussion in a slightly different direction. "Right now there are only two players  Apple and Google - but in the next few years there's going to be a battle over the big screen," he added. "We're going to stop thinking about the hardware, and it's going to be able software living across multiple platforms." But where does such a wide open future leave the likes of Nintendo  a company that, to date, has refused to operate on anything other than its own hardware? "Nintendo will be a service on a device [in five years' time]," he added. "We're not going to care about the hardware in three or four years time  it's all about the software. There will be a console market, but it'll be a niche audience, and massmarket consumers won't understand why those games aren't available on their platforms." Peter van der Linden of haptics specialist Immersion countered, however, suggesting that, rather than software platforms stretching across multiple devices, we're more likely to see devices that do multiple things. "All the devices you carry and merging into one  the Samsung camera is an example of that  and I think that's the way things are going to go," added. "We're all going to have a device that slices, dices and cleans the carpet." And that device, added Masuka, won't be a traditional console from Sony, Microsoft or Nintendo. "Consoles are dead," joked Sega's Masuka. "Our business is structured in a way that we have a console team that focuses on console games, and we borrow them and put them on mobile, but I haven't seen it working the other way, and I can't to be honest. "Even our console side of the business is mainly PC  the future is digital, and it's about keeping the software in the cloud." On the idea of another Nintendo handheld after the 3DS, Masuka said he "couldn't see room for it." "My pockets are getting tighter, and the only device I want to keep on me is my phone  I don't think there is an opportunity for another handheld device," he concluded. Indeed, if Grand Cru's Warin is to be believed, the ultimate handheld is already here. "I can't think of any gaming device ever better than the iPad mini," he concluded. "For a mass market, nothing beats the iPad mini."